Aurora Indica by Nirvana is a potent F1 hybrid (Northern Lights x Afghan) that offers a strong indica effect, big yields and a short flowering time. 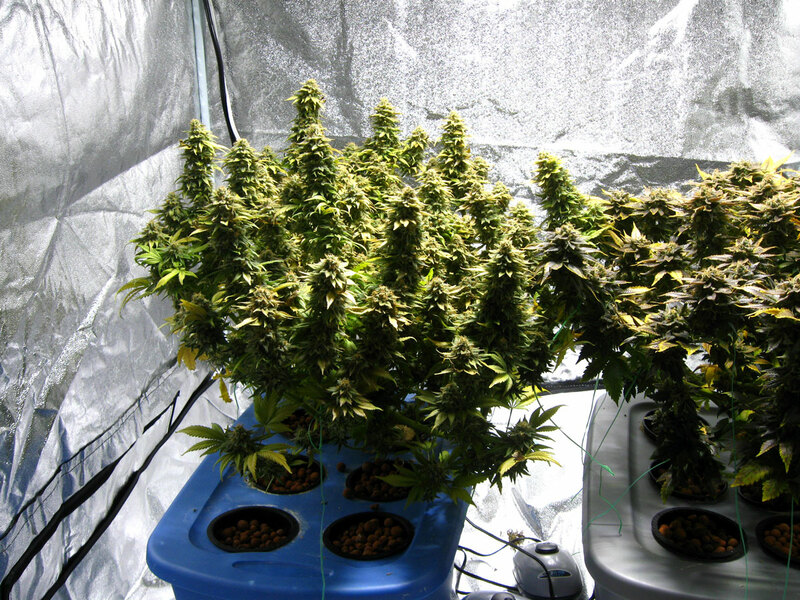 Aurora Indica plants tend to stay short and produce heavy colas and dense indica buds that are ready to harvest ~2 months after flowering is initiated. 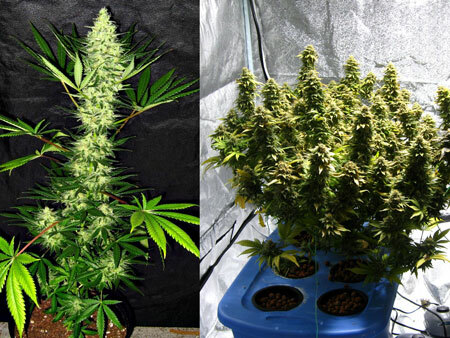 In additon to being well suited for plant training, this strain is also a great candidate for being flowered directly from seeds (given 12-12 lighting from seed – just look at the picture of the plant on the above left, which was harvested just over 2 months after the seed was planted). This strain tends to prefer relatively low levels of nutrients compared to some other strains, and it is recommended you start at reduced nutrient strength when growing Aurora Indica for the first time, and only bring up nutrient levels slowly as needed. Aurora Indica plants are easy to grow and respond well to training and especially supercropping. Harvest 7-9 weeks after the start of budding for a stoney "couchlock" effect. “Stoney” strong indica I would describe as "couchlock,” great for relieving nausea, tends to grow short with fast flowering time. Typical indica growth pattern and our plant responded very well to training. Get your seeds directly from the breeder! Submit your own Aurora Indica pics and strain review here!